Intas' success and incessant growth lies in clinical execution of successful and strategic moves made in the areas of manufacturing, R&D, Biotechnology and global operations over three decades. As on 31st of March 2018, Intas has recorded a global turnover of $1.7 billion at >20% CAGR over the last 5 years. 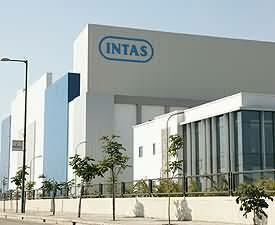 Intas is currently ranked 11th in the Indian Pharma Market with 2.9% market share*.